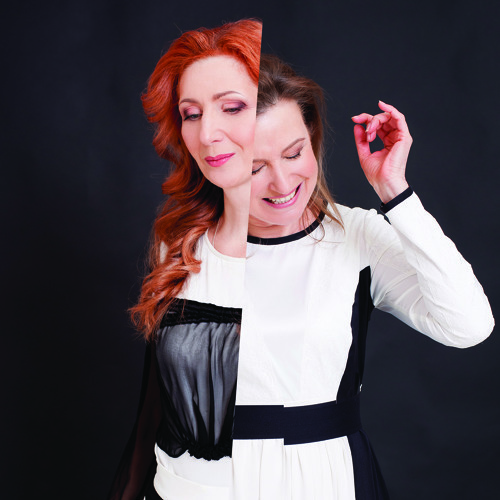 In contemporary Ukrainian music Halyna and Lesya Telnyuk have unique status. Critics have qualified the artists' work as "a breath of fresh air", "a tonic against dispair", and "a mystery play of word and music", appropriately terming them "the last bastion of true poetry and music in the domain of the contemporary Ukrainian song". The Telnyuk Sisters' concerts represent unique literary-musical compositions, a synthesis of poetry and song. They feature accomplished standing and explore wide-ranging concerns, such as the place of the poet in totalitarian society, internal freedom as a prerequisite for creativity, the question of a search for oneself, for a sence of being: The concert-goer is emmerced into an extraordinary atmosphere, as thought she/he were present at some esoteric happening for those who are privy to a secret, yet at the same time is left with the feeling of being part of a circle of good friends. This is the result of the delicate and sincere dialogue that the duet conducts with their audience. The sisters are called "dissidents of show-business" and "banished princesses". They insist on poetry for their lyrics and (unlike the predominant practice) prefere "live" performances, maintaing high aesthetic and professional standards and principles. The audience has responded warmly to the musical stance declared by the Telnyuk Sisters. Their concerts in Ukraine always draw capacity crowds.